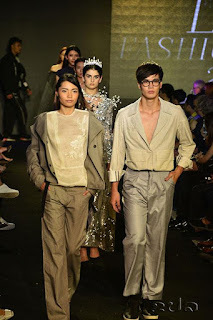 (KPL) Lao Fashion Week 2017 up in Vientiane last Friday following successful five days of showcasing 100 collections of designers and emerging stars. “The achievement of Lao Fashion Week this year, which marks the 4th anniversary of the Lao Fashion Week establishment to promote the platform progression of fashion in Laos,” said Lao Fashion Week CEO-Founder, Ms Pany Saignavongs. 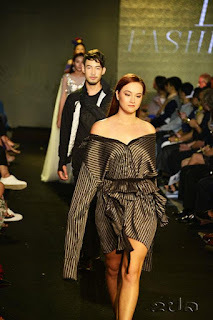 Within four years, Lao Fashion Week has become not only a top-rated platform for fashion design, ready-to-wear, accessories, styling and other new designs and new technologies in the mainland, but also a world renowned platform for promoting brands, displaying originality and broadcasting fashion trends. More than 40 designers from over 5 countries, and more than 35 fashion brands and organizations have held 900 fashion shows in nearly four years. Over 10 young designers and models have taken part in 50 professional contest finals. “Lao Fashion Week is expecting to present the Lao fashion designs to the international stage in the future,” said Ms Pany Saignavongs. The Lao Fashion Week 2017 was held between Sep 11-15 at Crowne Plaza Hotel, Vientiane Capital as a full week of fashion and cultural festivities. Its aim was to raise the profile of young designers. “Lao Fashion Week was founded to bring the textiles and fashions of Laos to the international stage. To develop the Lao fashion industry, the skills of the young must be developed. This is the vision behind the Lao Young Designer project, a programme of Lao Fashion Week,” said Ms Pany Sayavong. Lao Fashion Week is an instrument for spreading Lao creativity that works for the development of the fashion sector in Laos. It has become a major inspiration, said the First Winner of Young Designer Project Si-amphan Chanthavichit, mostly known as Billy.